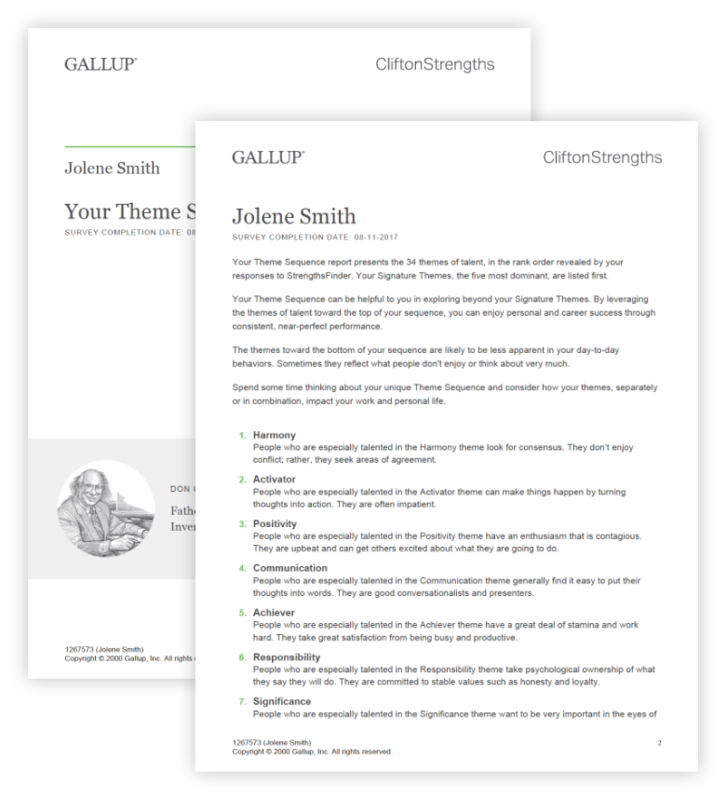 Create better teams with CliftonStrengths - Gallup. 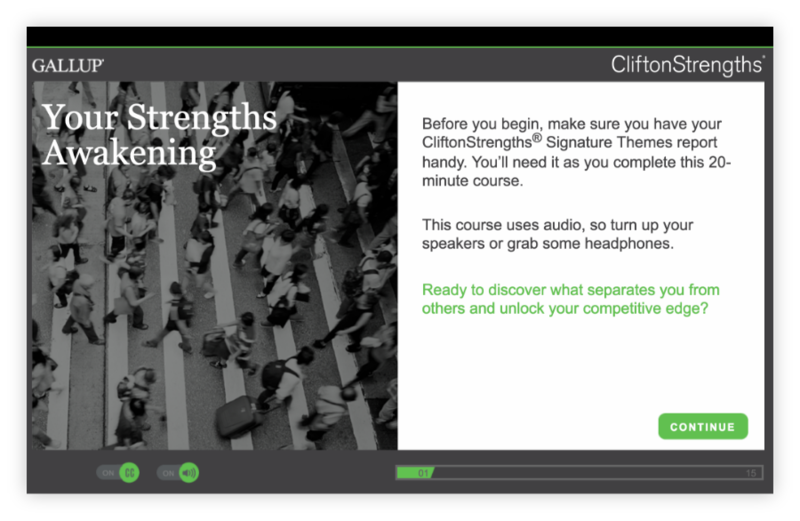 Get the best out of your people with CliftonStrengths (formerly Clifton StrengthsFinder). What if you knew how to uniquely motivate each employee and help them work better together as a team? Identify what your team does best and help them understand one another. You can boost individual and team performance when you use CliftonStrengths to coach and develop employees. Learn how the assessment works and discover why organizations love it. 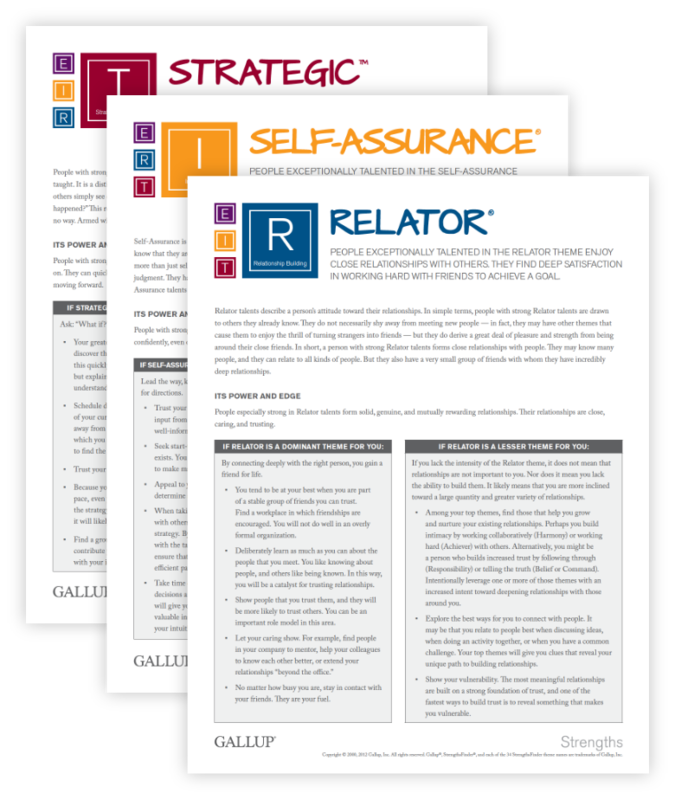 Gallup Access gives your managers the ability to see each employee's strengths report, analyze team dynamics for more effective team planning and feedback, and oversee the distribution of assessments to their teams. Equip your managers to coach and give meaningful feedback. Have you ever worked for a manager who didn't give you valuable feedback? What about one who truly understood you and set you up for success? Which one would you rather work for? 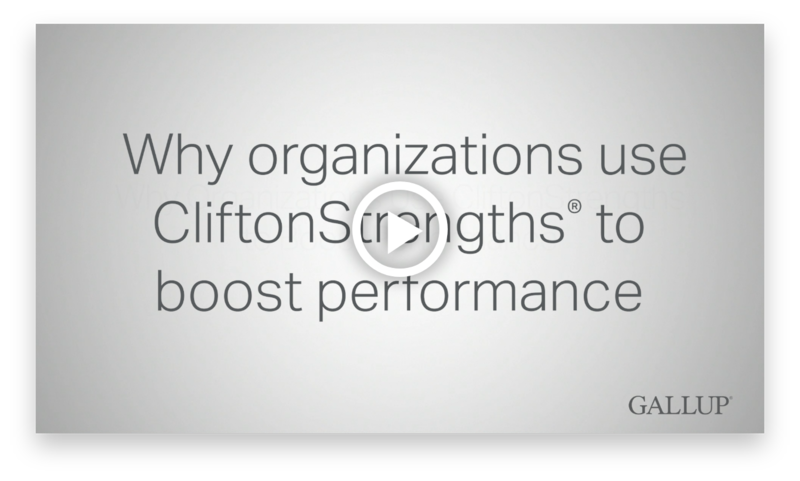 CliftonStrengths helps organizations move away from the command-and-control management style to creating a culture that focuses on people's strengths and development. Making this change will help employees -- and customers -- have better experiences at your company. of employees who strongly agree that their manager focuses on their strengths are engaged. of employees who disagree that their manager focuses on their strengths are engaged. A positive approach. But not a "soft" one. CliftonStrengths isn't just another assessment that doesn't lead to anything. Creating a strengths-based workplace is a business strategy that gets financial results. Find out more about our Strengths Meta-Analysis Report. Download the Strengths Meta-Analysis to understand the powerful connections between strengths and business performance. Help every employee learn more about what they do best to maximize their potential. Get detailed insights into each person's top strengths and their unique combination of 34 themes. Individualized reporting helps every employee and manager understand themselves and their teams better. 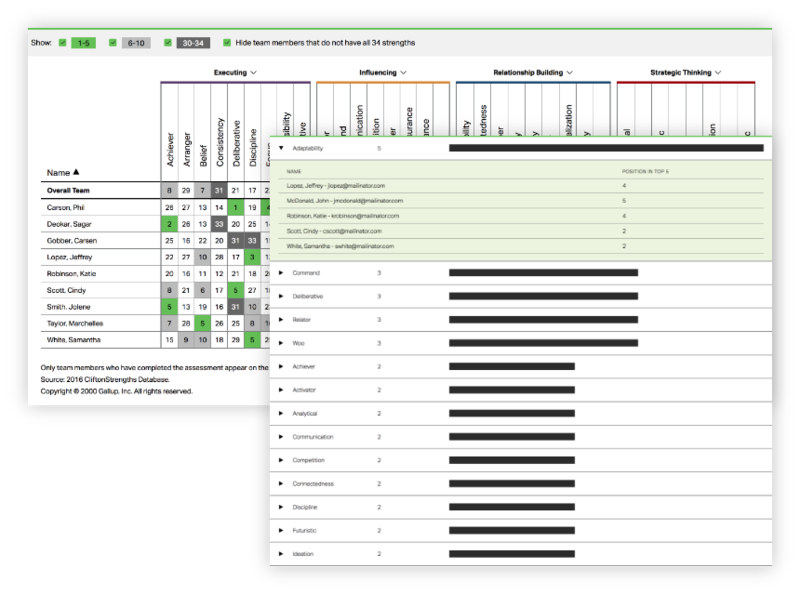 Employees and managers can use the interactive modules to examine their strengths and learn how to apply them. Managers also get insights and action ideas for individualizing feedback to their team members. Practice using strengths every day with ideas from our strengths action planning guides and self-guided learning and development modules. 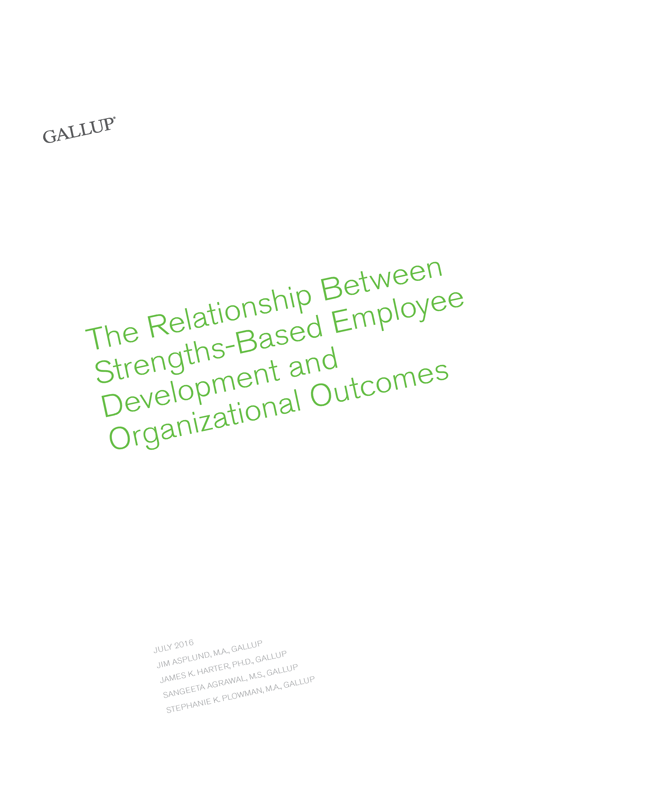 Get ideas for project planning and team motivation from our team strengths reports. With the CliftonStrengths team grid, managers can see how their team operates together, what motivates employees the most and in what areas they need complementary partnerships. Start motivating your team with CliftonStrengths. Request a demo today. Fill out your information below to have a Gallup representative contact you via email or phone within 24 hours.